Stretching from Achill Island to Moore parish on the Shannon, a distance of 120 miles, is the largest in the country. Geographically split north/south by the two lakes, Loughs Mask and Corrib, Tuam has pastoral charge of the largest Gaeltacht area in the country and of six of Ireland’s island parishes. It also contains the major pilgrimage centres of Knock Shrine and Croagh Patrick. Established by the twelfth-century synods of Rathbreasail and Kells, it subsequently absorbed two other medieval dioceses: Annaghdown and Mayo. Although not listed in Rathbreasail or Kells, Annaghdown diocese survived nonetheless for many centuries through monastic outreach from Annaghdown Abbey. Several ‘bishops of Annaghdown’, from 1189 to 1485, were systematically elected by its ‘Cathedral Chapter’ and, despite many counterclaims from Tuam, some were approved by Rome. In 1485, when the Wardenship of Galway was created, Annaghdown was formally united with Tuam by Papal decree, and some of its parishes, Claregalway, Moycullen and Shrule, were formally attached to the new wardenship. of Mayo, though recognised officially in the Synod of Kells, was suppressed in the thirteenth century. Bishops were appointed, however, as late as the sixteenth century. One of its bishops, Patrick O’Hely, who died in 1589, is numbered among the Irish martyr saints. The diocese was formally joined to Tuam by papal decree in 1631. The absence of continuity in territory makes Tuam’s diocesan boundary unique. Moore parish and the Kilmeen portion of Leitrim parish, both situated within Clonfert diocese, have been part of Tuam since medieval times. Shrule parish, now part of Galway diocese, is nestled in the Tuam geographical area in the east of Lough Corrib. Originally, it belonged to the medieval Diocese of Cong. But in south Connemara, ‘extra-territorial’ enclaves alternate between Tuam and Galway in a patchwork pattern. This situation may be explained by a number of factors: Galway’s late emergence as a diocese in 1831; the unusual topography of islands, inlets and lakes; and the late population settlements on Connemara. Also, there was the influence on Annaghdown diocese, stretching across Lough Corrib. To rectify the situation, an exchange took place with Galway of one of those parishes, Killannin, for parts of Carraroe in 1890, but this created enormous disturbance and formed only a partial solution. Tuam has its own quota of acclaimed saints: Jarlath of Tuam, Feichin of Cong, Macdara of Carna, Colman of Inisboffin, Fursey of Headford, Enda of Aran, Benin of Kilbannon and Cuana of Kilcoona, amongst others. Even after the Synod of Kells, a multiplicity of abbeys had pastoral care for the people in their surroundings. With the despoliation of the monasteries and the scarcity of priests during penal days, old churches were abandoned. When they were replaced, it was with miserable thatched shelters. House ‘stations’ were a necessary substitute for normal public worship. In 1825, Archbishop Kelly testified before a House of Commons Committee of enquiry that out of 107 places of worship in the diocese, only eighteen had slated roofs. The others, he said, were thatched and wretched, insufficient to contain the congregations, and in many instances the public prayers were celebrated in the open air. The chapels were also used as Sunday schools, and a great many were used on weekdays as the local school. As persecution abated, and as priests became more plentiful, a new confidence grew and the small thatched buildings were superseded by more solid, ample structures. Only two of the existing churches in the diocese precede 1800- the abbeys of Ballyhaunis and Ballintubber. But from 1820 onwards, a phenomenal rate of construction began.  Twenty of the 135 existing churches were constructed in the Famine years, 1840-1850. The pattern of church replacement or reconstruction continued to modern times. Modern church architecture is rare in Tuam diocese, as most churches predate the modern times. The four special chapels constructed at Knock Shrine, including the Basilica, since 1972 are, however, of special importance. generation of pupils had the advantage of secondary education and many thereby escaped the emigrant ship. steadily to 170 about 1968; despite the fact that the population dropped to less than 30% of what is was before the Famine. The number has now dropped to approximately 150, and of these, more than twenty are on loan from missionary orders. The devotion of the people remained strong in all these years. In 1986, the figure attending Mass in the archdiocese was approximately 75% of the whole Catholic population, or 89% of those obliged to attend Mass. This has decreased by approximately 10% in recent years. A major survey of the diocese carried out in 1996 found that the pattern of the population decline is still continuing; nowadays, however, that decline continues through out-migration to the eastern part of Ireland, but with the same deleterious effects on the west. of the devotion of the claimed apparition of Our Blessed Lady, with St Joseph and St John, on 21 August 1879. The event was subjected to the most exhaustive Church inquires and, subsequently, in 1936, before the last of the witnesses to the apparition died, both tribunals found the evidence of the witnesses ‘upright and trustworthy’. The number of extraordinary cures and favours associated with Knock from the earliest years caused the pilgrimage to grow. Pope John Paul II visited the shrine on 30 September 1979. May to October and private pilgrimages take place on almost every day of the year. Pilgrims are cared for by a thousand voluntary helpers, the Knock Shrine Stewards and Handmaids. The Annual Novena, from 14 to 22 August, attracts up to 100,000 people. The shrine grounds and chapels at Knock make it a place of great beauty, conducive to prayerfulness and peace. The pilgrimage itself includes a visit to the Blessed sacrament in any one of the five chapels on the grounds; the Stations of the Cross; the fifteen mysteries of the Rosary, five of which are recited while the pilgrim walks around the church. The celebration of Mass is usually a central part of the pilgrimage, as is the celebration of the Sacrament of Reconciliation. pilgrimage extends back at least one thousand years. Formerly a pre-Christian shrine, called Sliabh Aigli, it has been hallowed by St Patrick and by Christian footsteps and prayers through the centuries. The traditional date of the pilgrimage in the last Sunday of July or, for the local people, the Friday beforehand, called ‘Garland Friday’. Nowadays, the pilgrimage takes place from early morning, but until the 1970s pilgrims climbed the mountain in the darkness and were on the summit for the first of the morning Masses at daybreak. Private pilgrimages also take place on most days of the summer. The traditional ‘station’, as distinct from the climb, begins at the eastern base of the cone at Leacht Benian, where the pilgrim walks seven rounds of the Leacht and then climbs to the top by way of the steep passage known locally as ‘the ladder’. One walks fifteen times around Teampall Phadraig on top, seven times around each of the three mounds of Roilig Mhuire and seven times around the area of Garrai Mhor on the western slope. A corresponding number of Paters and Aves and the Gloria and the Creed are said at each one of these. The pilgrimage is not suitable for people in poor health. 15 August and May-October: Lady’s well, Athenry, since AD 1249. Tobar Choilmchille, Baile na hAbhann, Connemara. Oilea’n Mhic Dara, Carna, Connemara. First Sunday of August: Patrician Shrine at Ma’me’an, recess, Connemara. Garland Friday, July: Croagh Patrick – pilgrimage for local people. 20 August: Pilgrimage to St Bernard’s Well, Abbeyknockmoy, Co Galway. Through the year: St Patrick’s well, Kilgeever, Louisburgh. May-October: To’char Phadraig-Ballintubber Abbey to Croagh Patrick. May-October: Church Island, Lough Carra, part of Ballintubber pilgrimage. Mám Éan: St. Patrick’s Day, Good Friday and First Sunday in August. Saints of the Diocese. Despite the widespread influence of druidism in the fifth century St. Patrick did major work in spreading Christianity in Connacht and in Ireland in general. After spending some time working as a slave in Antrim a vision led him to spend some time in the west preaching Christianity throughout several parishes in the Archdiocese. Following in the footsteps of His Master he fasted and prayed for forty days on Croagh Patrick, near Westport. He is also reputed to have spent some time at Máméan, near Recess. Both places are now recognised Patrician Pilgrimage sites in the archdiocese. In his earlier life Enda was a warlike chief who led his clansmen to battle. Under the influence of his sister who was head of a convent on the shores of Lough Erne he developed an interest in the religious life. He renounced his chieftaincy and became a monk. He founded a monastery in Louth and later visited Britain and Rome where he was ordained. On his return he settled in Inis Mór of the Aran Islands as he wanted a lonely and retired spot to live in solitude and practice austerities. He was soon joined by others that volunteered to live under his rule. The monks lived in bee-hive cells, they fasted, prayed, fished and farmed on whatever little soil was available. Soon news of the sanctity and virtues of St. Enda spread and even abbots and saints from other monasteries came to sit at the feet of the master, people like Kieran of Clonmacnoise, Brendan of Clonfert, Finian of Moville, Jarlath of Tuam, Kevin of Glendalough and even Columba. Soon the monastery grew to about 150 and became known as Aran of the Saints. St. Enda died in 540 in Killeany Church on Aran. Brendan was born in Kerry about the year 500. He was quite a traveller and visited Wales and Iona. He founded a monastery in Clonfert and also on the Blasket Islands, Ardfert, Ennis and Erris in Co. Mayo. The one at Clonfert became the most famous and later developed into an Episcopal See. Prior to founding Clonfert, Brendan spent some time with Enda on the Aran Islands. Around 550 he visited the island of Inchiquin on Lough Corrib and established a monastery there similar to the Aran model. Brendan died in 577. Jarlath is reputed to have received his early education under Benignus at the school of Kilbannon. After being ordained he founded a monastery at Cloonfush near Tuam. He was a close friend of St. Brendan and St. Coleman of Cloyne. It was Brendan that encouraged Jarlath to set out from Cloonfush and wherever the wheel of his chariot would break down he would found a monastery. It broke at Tuam and there a new Church was founded and the broken wheel became the symbol of the Church. Jarlath died there sometime in the middle of the 6th century in Tuam. His feast day is June 6. Cuana, born in 590, died in 650, was of a noble Munster family. He founded a monastery at Kilcuana, by the shores of Lough Corrib, in the present parish of Annaghdown. Many legends exist surrounding his sanctity, religious zeal and literary talent. Fursey’s grandfather was a prince of Munster, and a brother of St. Brendan. Fursey was educated at Brendan’s monastery in Inchiquin by Brendan’s successor Meldun. Having grown up as a learned and holy man he founded a monastery nearby at Killursa. Like Columbanus and Columba he later travelled and settled in East Anglia. He established a monastery at Burghcastle which became a centre of missionary activity. He also travelled to France and did some missionary work there. He died about 650 in Picardy. Like Cuana and Fursey, Fechin ministered in the seventh century. A native of Sligo, he was from royal stock and was educated under St. Nathy of Achonry. After ordination he settled into the monastery at Ballysodare before heading to the West Coast of Galway. On the way he founded a monastery at Cong, where he is still revered. Afterwards he made his way to Omey Island near Clifden despite the opposition of the natives! He later founded another monastery in a neighbouring island called Ardoilean. Both islands afforded the opportunity for solitude, silence and desolation where prayers could be said and austerities practised amid the howling of the tempests and storms! After evangelising the islands Fechin went to work in Westmeath where he died of the plague in 664. His work was continued by St. Flannan who was ordained around 640. It is uncertain where Sionnach MacDara was born and educated. What seems certain is that he was a holy man who worked on the island that bears his name off the shore of Carna in West Galway. He was probably a contemporary of St. Fechin. The Church on Mac Dara’s island still exists today and the feast day on the island in July is still well attended. The tradition still exists that sailors passing the island lower their sails out of respect for the saint. Coleman was born in the early part of the seventh century and was educated at Iona. After being involved in the famous dispute about the Roman Calender Coleman returned to the remote island of Inisboffin, which got its name from a legendary white cow that came forth from an enchanted lake and grazed from time to time on the scanty pasture around. St. Flannan probably spent some time on Inisboffin and there is a holy well there sacred to his memory. After some disputes with the inhabitants of the island Colman moved to Balla in Mayo and established a monastery there which became a great monastic settlement. Coleman died there in 674. St. Gerald later became abbot and bishop of Mayo. Because of the frequent visitors from across the water to Mayo it soon got the name Mayo of the Saxons. Born at the end of the sixth century Mochua was a native of Ulster and was educated at Bangor. He was renowned as a holy man and for performing miracles and also for building. At Balla he built a Church and Holy Well and surrounded it with a wall, hence the name Balla. St. Mochua died in 637. Most of the information provided here is courtesy of Msgr. D’Alton’s History of the Archdiocese of Tuam.